Damaged shingles, a sudden leak inside the home, or fallen, heavy tree limbs on your roof—all issues that will most likely require roof repair. Homeowners should assess any roofing issues and not take them lightly. Any roof repairs, whether minor or major, should be addressed by a roofing professional sooner than later to save your home from further deterioration. Usually emergency roof repair services come with a slightly higher price tag than a job that can be scheduled with your local roofing company. Try to identify the cause of any minor roof damage. Look for any missing shingles, damaged flashing, or loose fasteners which can all cause leaks. Of course all of these are issues that need repair, but they may not be classified as urgent. On the other hand, you cannot wait to repair major damage. Major damage includes large tree limbs that have fallen onto the roof, an actual tree that has hit and damaged the roof, or an entire section of the roof that has been torn off due to high winds. Also, any major, non-stop leaks inside your home will cause flood damage so be sure not to dismiss these leaks even after any rain has stopped. Contact a roofing company immediately for assessment and assistance. 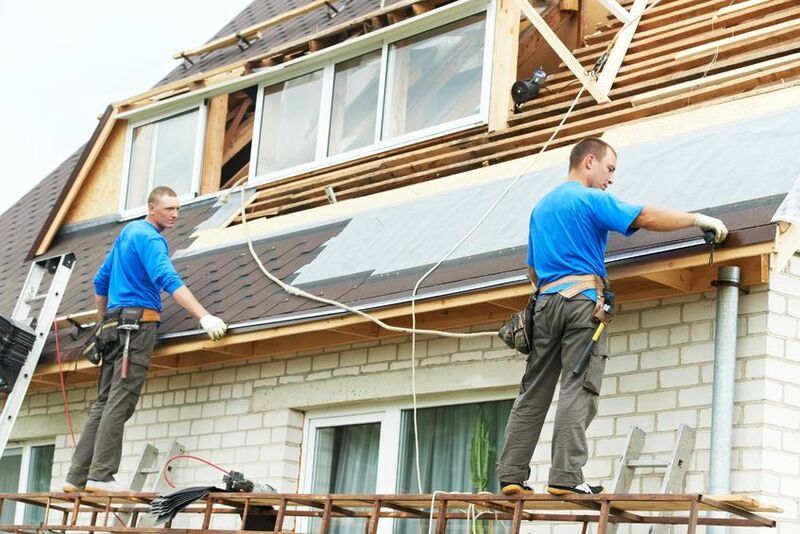 In the case of emergency roof repair, the very first thing you should do is turn off your electricity to prevent electrocution risks from any major water leaks. After this is done, call your insurance company to report the damage. And call the roofing company in Aberdeen that local residents have come to trust. Cox Roofing is a full-service, certified roofing contractor providing residential roofing services of the residents of the state of Maryland. We pride ourselves on our personalized and professional service. Our attention to detail and outstanding customer service is what separates us from our competition. Call us today for help with any minor or major roof repair projects.